Shoyu, or soy sauce, is made by mixing cooked soybeans with koji and other ingredients such as roasted wheat or other grains to add a unique flavour. Salt brine is then added to the mixture, and then left to ferment for about six months. The salt brine serves two purposes other than adding a salty flavour: first, it helps create the right environment for proper fermentation, and second, it acts as a natural preservative. Following this, the mixture is then pressed to extract what we recognise as soy sauce, and then pasteurised before being bottled. What we just described is the traditional method of shoyu brewing. 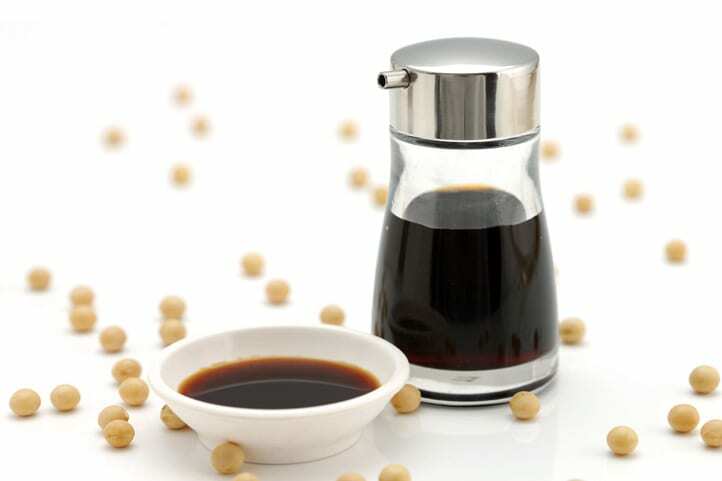 Mass produced soy sauce, on the other hand, doesn’t take as long to make as it’s produced through a process known as hydrolysis, where the soybeans are boiled in hydrochloric acid for 20 hours or less to extract amino acids from the soy beans. After that, this amino acid liquid is neutralised with sodium carbonate, filtered, mixed with active carbon, and then purified. Finally, corn syrup, caramel colour, and salt are added to the mixture to get the right flavour and colour before being further refined and packaged. Though it requires far less time to make, soy sauce that’s mass-produced in factories tends to be less complex in flavour than soy sauce brewed using the traditional method. There is also a variant of soy sauce known as “tamari”. Tamari is mostly wheat-free, lending it a distinctive umami flavour from the soy beans. And while it’s often categorised as a soy sauce, it’s actually made from the liquid that runs off mame miso as it matures. Compared to soy sauce, tamari is less salty and has a richer flavour.